The Buddhist leader to speak at WestConn this fall. 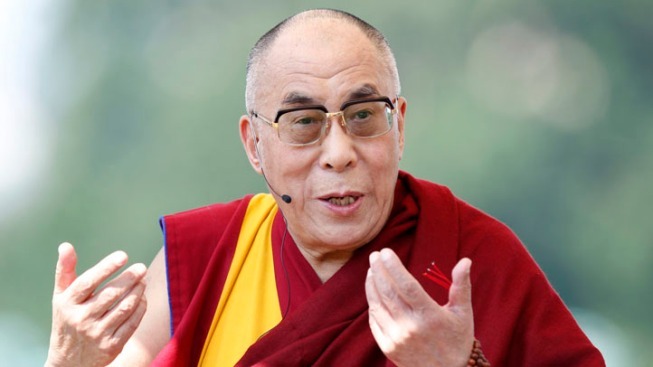 Buddhist leader the Dalai Lama is coming to Connecticut this fall to lead a pair of discussions at Western Connecticut State University in Danbury. In an event that took nearly two years to put together, the Dalai Lama is coming to Connecticut. The Buddhist leader has accepted an invitation to speak at Western Connecticut State University in Danbury on Oct. 18 and 19. University president James W. Schmotter said the visit, in cooperation with theDo Ngak Kunphen Ling (Tibetan Buddhist Center for Universal Peace) will be part of a series of events on Tibetan culture. "As His Holiness has said, where ignorance is the master, there is no possibility of real peace," Schmotter said. "We hope to learn from him in his teaching to help us in our struggle against ignorance at Western Connecticut State University." Discussions for the Dalai Lama's talks began in 2010 and were just finalized this month. Two WestConn professors worked with the DNKL to make the visit possible. "His Holiness has become more energized over the years by his passionate commitment to promote the inner human values," says Lobsang Nyandak, representative of the Dalai Lama to the Americas. "He especially focuses on the educational institutions throughout the world, and reaches out to young people so that, through education, we can improve the human values in our society, and the world at large can become a better place. The Dalai Lama has been the spiritual and political leader of Tibet for decades, despite living in exile since 1959. He was awarded the Nobel Peace Prize in 1989. The Dalai Lama's events at WestConn will be open to the public. No word yet when tickets will go on sale. The talk will be simulcast to the inaugural statewide conference on Mindful Education: Building Inner Resilience at Central Connecticut State University.